The weeklong all-documentary Salem Film Fest, running from March 6-13, has a great and remarkably diverse line-up of films, with 37 features and almost as many short subjects. I was able to see several of them last week and even if I can’t get back there in its last two days, will have a sizable checklist for future viewing choices. Of the film’s I did see, the opening night presentation of “A Fragile Trust,” profiling the plagiarizing New York Times reporter Jayson Blair, was a treat. Filmmaker Samantha Grant was in attendance (as were most directors of the selected films, it seemed) and during the Q&A, one person compared it to Errol Moris’ Oscar-winning “The Fog of War” as a mea culpa coup of sorts. Robert McNamara’s defensive testimony in “Fog” of his dubious high-level role in escalating the Vietnam War may have more gravity. But Blair’s high-profile case, which caused an erosion of confidence in journalism at a time when traditional news could least afford it, is no small potatoes. Blair’s rampant ego, blended in with lingering mental health issues and substance abuse, led to a prominent scandal and his presence in the film as a less-than-reliable interviewee was fascinating stuff. (“Where does the illness stop and the gaming begin?” wondered one of the talking heads). A show of hands at the Q&A revealed about half thought the film made them at least somewhat sympathetic of Blair, while the other half were left with disdain. Another example of the engaging power of the documentary form, although I have to agree with my sister Pam, who I watched it with it with, Grant should tone down that cue-happy soundtrack music. If you get a chance, check out “A Fragile Trust” when it airs on PBS on May 5th. On Saturday, I saw the charming “Tokyo Waka” by John Haptas and Kristine Samuelson, about the 20,000+ jungle crows that inhabit one of the world’s biggest cities. The poetic flow of this work reflected both the natural world’s interaction with the built environment and the Japanese people’s philosophy of everyday life as seen in relation to this enigmatic, iconic bird. Also got to check out the vibrant “Everybody Street” (directed by photojournalist-filmmaker Cheryl Dunn) about notable photographers who have worked the streets of New York City through the decades. Tellingly, most of the folks behind the camera (like Joel Meyerowitz, Jill Freedman, Bruce Davidson and the Serbian-born Boogie) are as least as fascinating as the diverse multitudes they take pictures of, and that’s saying something. Like “Waka” this is a sidelong portrait of a great city as a whole. Among the entries I circled in the program for future viewing: “Dear Mr. Watterson” about the creator of the beloved Calvin and Hobbes comic strip; “Rich Hill”, a look at the de-population of large swatches of heartland America thru the example of one Missouri town; and relatedly, “The Human Scale”, Andreas Dalsgaard’s new film on the urban challenges facing a world where 80% of the population will be living in large cities by 2050. 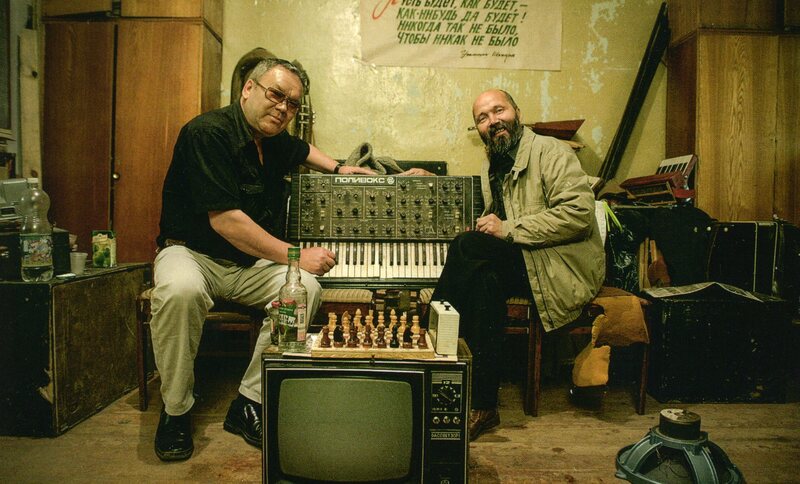 And as a fan of music docs, I hope to soon be seeing “Elektro Moskava” (pictured above) and it’s tale of Russia’s vital historical role in the development of electronic music. Sounds like it would make a great double feature with 1995’s “Theremin: An Electronic Odyssey” about Russian-born Leon Theremin who invented the self-named first electronic instrument. Theremin, who was the toast of Manhattan in the pre-war years, mysteriously disappeared (and rumored to be a kidnap victim of the KGB) before turning up a half-century later in Moscow, making a trip to NYC in his last years to be re-united with his protégé Clara Rockwell. I always sensed there were other stories where that came from. You can still see the entire festival line-up at salemfilmfest.com. Happy viewing! “Documentary 101: A Viewer’s Guide to Non-Fiction Film” is now available as an e-book in all formats for only $4.99, more details in next post. What a wonderful opportunity! I’m sure there are similar festivals in Chicago; I’m just too lazy to look them up. “A Fragile Trust” sounds like something I would enjoy.